Kevin Nowaczyk knows what’s at stake in the main event of Victory Fighting Championships 60. There’s more than just a simple win on the line. He also has an opportunity to make up for lost time. 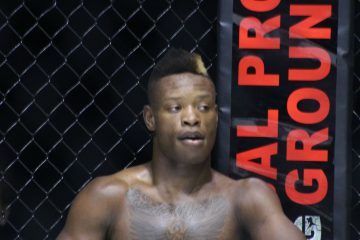 The seasoned MMA veteran will be competing in his 23rd professional MMA bout when he goes up against Andrew Kapel on April 14 in Hammond, Ind. While stepping into the cage is nothing new to Nowaczyk, it may feel foreign to him now. 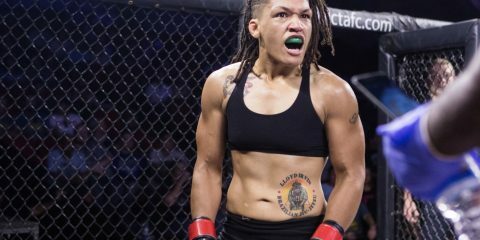 Since defeating former The Ultimate Fighter hopeful Daniel Vizcaya at Hoosier Fight Club 32 in February 2017, the 29-year-old fighter has been on the sidelines. 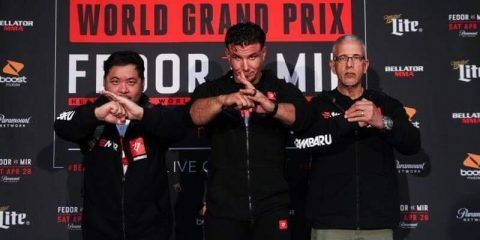 Roufusport head coach Duke Roufus has stepped in to help Nowaczyk navigate through the business and fighting aspects of MMA. With the help of Roufus, Nowaczyk is now on the cusp of a familiar position. Six years ago, Nowaczyk was set to appear on The Ultimate Fighter 16. 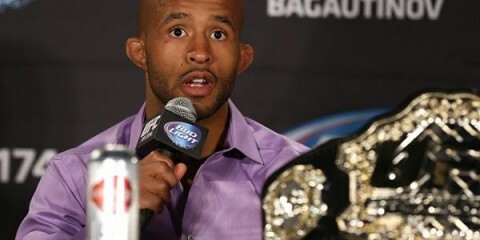 However, his UFC dreams were shattered in just 32 seconds. Since the loss, which came in 2012, Nowaczyk has gone an impressive 8-1, competing mainly under the Hoosier Fight Club banner. Much of this run was contested at welterweight, but his upcoming VFC 60 headlining appearance marks a move up for Nowaczyk to the 185-pound division. Now that he is able to take in additional calories, it spells bad news for those around Nowaczyk. After all, with a nickname like “Give Me Your Lunch Money,” he’s not exactly someone you really want to be around when he’s looking for more food. Although he’s too humble to proclaim it as the best nickname in MMA, it’s hard to make a case that it doesn’t at least belong in the discussion. As great as the nickname is, it was almost lost to history. “I’ve had it since my first amateur fight. It wasn’t planned,” Nowaczyk said of his moniker. 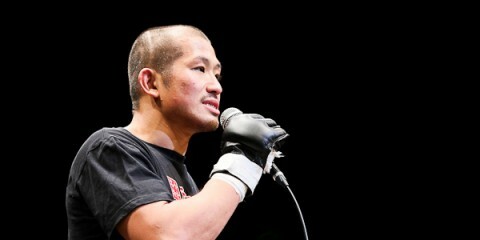 “The announcer for that night came up to me and asked if I had a nickname. So, jokingly, I said, ‘Yeah, it’s Give Me Your Lunch Money.’ I wasn’t being serious about it, but he laughed and my coached laughed, so we decided to go with it for that fight. Nowaczyk is out to take his opponent’s lunch money once again on April 14. 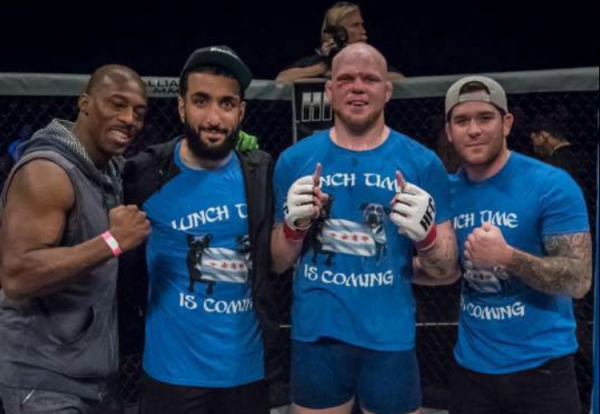 The Victory FC 60 event is co-promoted with Hoosier Fight Club. It’s a familiar routine for Nowaczyk, who has become a mainstay on those local Hoosier shows. His opponent, Kapel, will almost surely be entering hostile territory against Nowaczyk, who lives in the Chicagoland area and trains at Milwaukee’s Roufusport. Nowaczyk, in any effort to avoid any notions of ring rust, is likely to bring the fight to Kapel early and often. 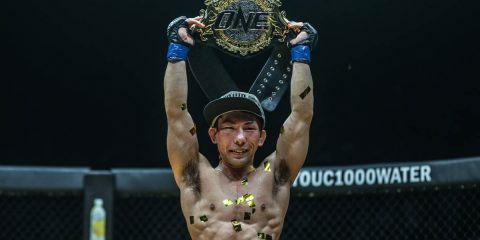 It’ll be his first time inside an MMA cage in over a year, and he plans on staying active in his career following the bout. Nowaczyk will have the perfect opportunity to make a statement on this Victory FC event, which will stream live on UFC Fight Pass. Fans can watch Nowaczyk attempt to collect his lunch money once more in the evening’s main event.